Time to give those simple shaped parking permit stickers a break! Give your parking permits a twist with deSIGNery’s die-cut parking permit window stickers. Parking lot control is sometimes necessary to keep a school or office complex clean and clear from people that may not belong. All of our special shaped parking permits are face adhesive so that no one is able to tamper with them from the outside of the vehicle. They are also printed with UV inks to help prevent fading for long term use. They are available in two different materials: Static Clings and Clear Stickers. 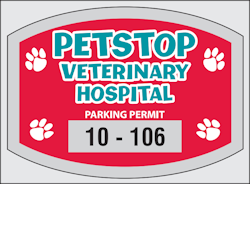 Our die-cut parking permit window stickers are competitively priced and are of a high quality material so that they will last for a long time. 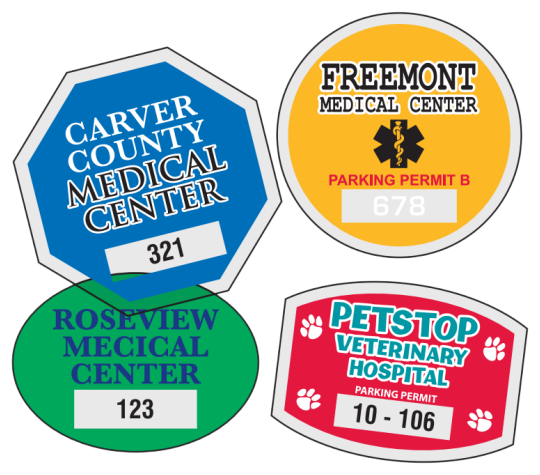 Check out our Spring Sale for savings on Die-Cut Parking Permit Window Stickers and Custom Parking Permits in the following link. 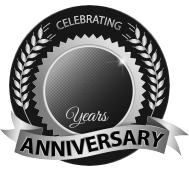 BBB Member since 2004 with a proven record of complaint free customer satisfaction on items like Die-Cut Parking Permit Window Stickers. Click on the BBB logo above to check our record or leave a customer review. If you are in the market for Custom Parking Permits, give us a call today and you will soon realize why after 24 years we still have an A+ BBB rating! At deSIGNerySigns.com we have more than 24 years experience in designs for our Custom Parking Permits. Call us today and let our design specialists help create your next project to promote your product or business. FREE Shipping on all decal and sticker products | Free layout | A+ BBB rating | 24 years in the business | Call Today for a free quote on Custom Parking Permits. Our die-cut municipal stickers is an awesome choice for gated neighborhood communities, apartment complexes, and condominium residences. Apartments and condos can benefit from using custom municipal stickers by making it easier for their security, maintenance crews, and most of all, residents, to know who should be in their parking lots. Match up the consecutive numbers with the parking spot numbers to make it even more convenient for your residents! 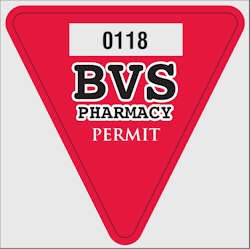 The octagon and sheriff triangle shaped numbered parking permits can work great for many different types of companies. Together, they can both be used for courthouses, police departments, security companies, jails, and even city vehicles. Other uses could be for national park vehicles and week to weekend visitors, camp site residents, cabin resorts and many more. 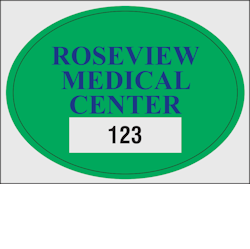 The special shape of our consecutively numbered automotive custom parking permits will definitely stand out and grab attention from security and employees. We have simple shapes such as circles, ovals, rounded rectangle, and yield and stop signs. These can be used for just about anything that needs to be marked for a certain area. No matter what your company is, we are sure you will love the different types of numbered parking permits available to help make your company stand out. If you are interested in this product but aren't sure which material would be best for your use, our company can send you a few FREE samples. 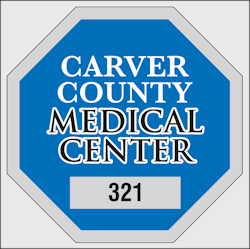 Visit us on the Contact Us page to request those samples and while you are already there, email us for a free quote on your custom design for our die-cut parking permits! 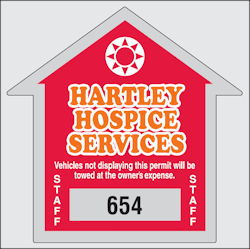 Our die-cut custom parking permits are available in two different sizes. 2¾" x 2¾" for the octagon, triangle, home and round shapes or 2¾" x 2" for the two oval styles. 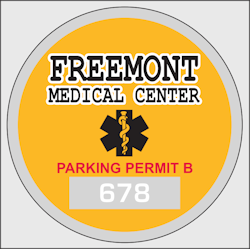 Consecutive numbered custom parking permits are printed with 7/32" numbers and printed in black ink on a clear background. If white 7/32" numbering is required, please specify. Black numbers are available up to 1" tall. Common choices include: 7/32", 3/8", 1/2", 3/4" and 1". Prices shown are for one location only. Please specify size and starting number when ordering. deSIGNerySigns offer face adhesive parking permits in both clear static stick and permanent pressure adhesive materials. Die-Cut Custom Parking Permits are pre-cut and supplied on a backing sheet, making removal quick and easy by just bend and peel! If you are supplying your art, remember to leave a clear space for the numbers. Need Help? Let our design staff do the layout for you. Just send us the text and shape wanted, we will do the rest!